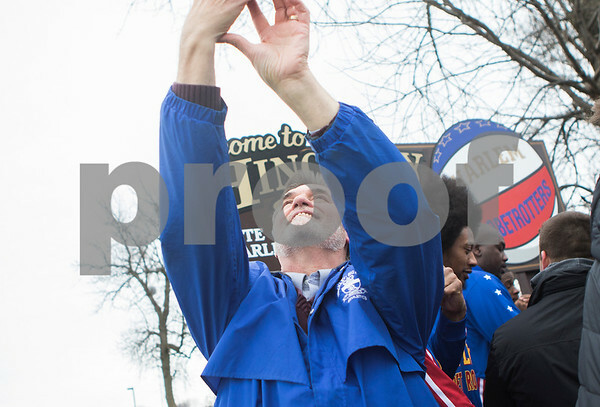 Hinckley-Big Rock High School athletic director Bill Sambrookes takes a selfie with the new town sign after it was unveiled by the Harlem Globetrotters on Thursday, Jan. 7, 2016. The Harlem Globetrotters are celebrating their 90th anniversary tour the game in Hinckley where the team's first road game was played on Jan. 7, 1927. Sambrookes has been helping plan the visit and the game.